Many people think alarms are the best way to protect their valuables, such as an expensive car collection. Theoretically, a thief confronted with an alarmed unit will stop trying to break into it. But theory and practice don’t always agree. That’s why Monterey Motorsport Park decided to install the next generation of Pro-Active Remote Guarding security solutions from Elite Interactive Solutions (EIS). 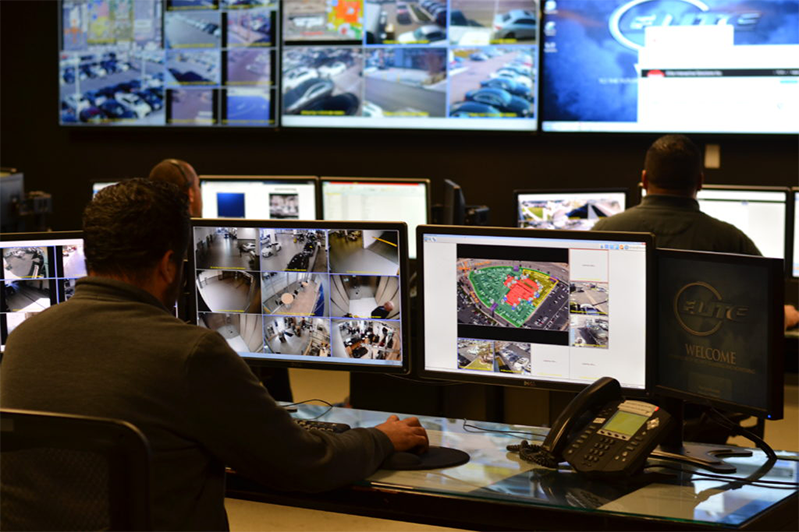 As the leader in Remote Guarding, Elite Interactive Solutions integrates event-driven artificial intelligence to prevent crime at hundreds of commercial properties across the U.S. The EIS design combines sophisticated, intelligent video surveillance with highly trained security agents who respond to on-site security alerts from within Elite Interactive Solution’s state-of-the-art Security Operations Center. This innovative Remote Guarding solution will provide comprehensive video coverage of the complex’s perimeter as well as the entrances to the individual garage-condos. Should an intruder be spotted crossing the property line, the EIS team will use on-site speakers to warn them off. Based on past experience, approximately 95% will leave immediately — making it possible to stop a break-in before it occurs. If the police must be called, EIS agents will inform the officers of precisely where the intruder is, whether he’s armed, what he’s wearing, and more. The result is an exceptional level of proactive protection vs. reactive response after a break-in has taken place. Elite Interactive Solutions is the only Remote Guarding firm endorsed by FBI-LEEDA — an organization dedicated to advancing the science and art of law enforcement leadership. Many Fortune 500 firms rely on EIS for security solutions that deliver peace of mind while simultaneously saving the firm time and money. While this Pro-Active Remote Guarding service is expected to provide exceptional security for Monterey Motorsport Park, individual owners are certainly welcome to install an optional alarm in their garage-condo should they desire.